“When I was 4 years old, I asked my dad for a guitar. They literally could not find one small enough for me because I was such a small kid, and they did not want me to get discouraged early on. For my 7th birthday, they bought me a 3/4 scale guitar, and it changed my life completely. I chipped away at that thing for months on end, but didn’t really gain a lot of ground until I was in fifth grade and I started learning how to play trumpet and recorder. With a solid base of musical knowledge, I began to seek other musicians with whom I could share these abilities. Flash forward to 7th grade: I met a guy who claimed he liked Led Zeppelin, and I showed him I knew the chords to “Black Dog” and “Stairway,” but my playing was sketchy at best. Regardless, hardly anyone in the Antioch area knew how to play, and he was blown away. Two weeks later, we started a band together and picked up the best musicians at the school. Before the end of the week, we had a drummer, singer, and bassist, and began plugging away at a setlist. Things didn’t last long with that first project, but we enjoyed our time playing classic rock covers in various garages around town. I was lucky enough to continue working with some of those musicians as they evolved into more punk and alternative routes. Before long, I was working with a punk rock band by the name of The Allies. It didn’t matter that I didn’t hit every note at each show, and no one cared that I didn’t play the most expensive or professional equipment. What mattered was the fact that I had fun with it and found a group of people with whom I finally fit in. I surrounded myself with the best around, and therefore improved my ability to play. I started writing songs at 17. By the time I went to college at Marquette University, my punk rock band was starting to go separate ways. My 14 year old brother asked me to start a band, and I dismissed him for the time-being, thinking he wasn’t ready. I went off to Marquette, but when I returned for break, I realized that kid had been chopping away on a drum kit for hours each day after school. He was so good that I realized we needed to start a band; like, right away. So we called up my cousin (now an accomplished jazz saxophonist) a friend who was a bass player, and a trumpeter, and after 5 years and a few lineup changes, I am part of an incredible ska band called Forty Cents Flat. Over the years, we’ve all moved around the country, but we have kept in touch and continue to make loud, improvisational jazz/funk/punk/rock/reggae tunes. It’s just the right group of people, and it’s all because of that early start that I was lucky enough to have. In 2014, my brother and I began writing for a brand new project called Three Unassisted. We’ve only played a handful of shows, but I am extremely proud of how fast this project has grown. The songs that we have written mean the world to me, and it serves as an excellent outlet for me as I begin my career as a World History and American Citizen teacher at Big Foot High School in Walworth, WI. Moving to this area put me in touch with a lot of passionate and talented musicians, and I was so happy to be welcomed into the Rock Central family. Chase Albrecht began playing guitar at the age of ten years old. Being mostly self taught, up until his admittance to Rock Central in 2011, Chase specialized in heavy metal music. Since then, Chase has played in bands such as: the Headless Tenspeeders — a band in which he had the opportunity to share the stage with his biggest musical influence; his father — and Audiophila, a band consisting of past Rock Central students who have gone on to play Summerfest, Vans Warped Tour, The Rave and many more venues. While Chase took lessons at the school he was able to refine his skills and eventually began as a teacher in the summer of 2015. Chase continues to advance his musical career, with the newest release of his 4 song EP, and enjoys the opportunity to give the gift of music through teaching guitar at Rock Central. Billy is a lifetime musician who grew up in Arizona and has roots and here in Wisconsin. Starting off like many young players, he wanted to play the guitar, but ran into the same issue that many young players do- that the guitar was too small. So, at the recommendation of the guitar teacher and the music school, Billy started on piano instead. The piano lessons took off and he followed through with lessons and playing recitals! This laid the foundation for him to understand the basic fundamentals of music. It wasn’t until 8th grade that Billy decided to pick up the guitar again! He went back to the original guitar teacher that had recommended piano and things just took off! This instructor, Scott Anderson, a true master, taught Jim Adkins from Jimmy Eat World, Chris Thorn from Blind Melon, and countless others signed to major labels! Scott’s guitar method is unparalleled and sent Billy down the path that has led him here. 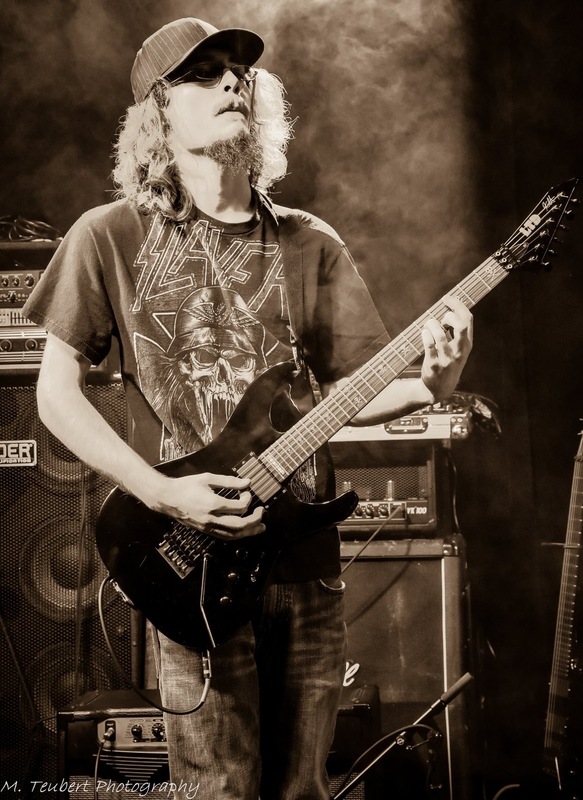 High school passed, and after years of private lessons, Billy decided to pursue music full time, and enrolled in the guitar performance 4-year program at Northern Arizona University. It was there that he truly grasped the fundamentals of music theory, note reading, as well as continuing his piano education by taking an additional two years of piano courses. This classical training was quintessential to his development into the player and teacher he is today! After college, Billy moved to Colorado, where he immediately joined an established band as a hired gun. Mission accomplished: he was officially a touring rocker! 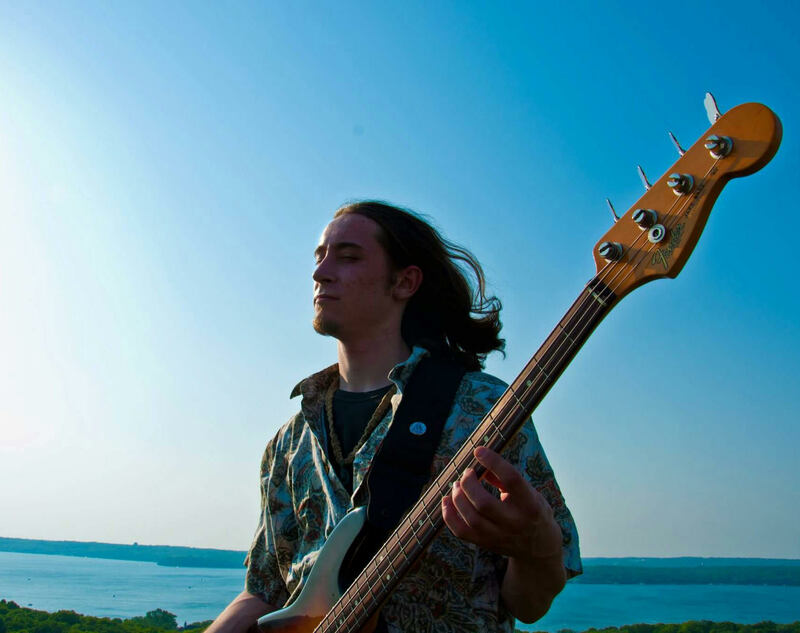 He has shared the stage with acts such as Rusted Root, Spafford, Devon Allman, March Fourth Marching Band, the Heavy Pets, and many more; as well as touring throughout all of the states in the SW.
Billy’s journey and career path has led him here to Wisconsin, and to us at Rock Central, and he is very excited to pass along the priceless music knowledge he has acquired throughout the years. 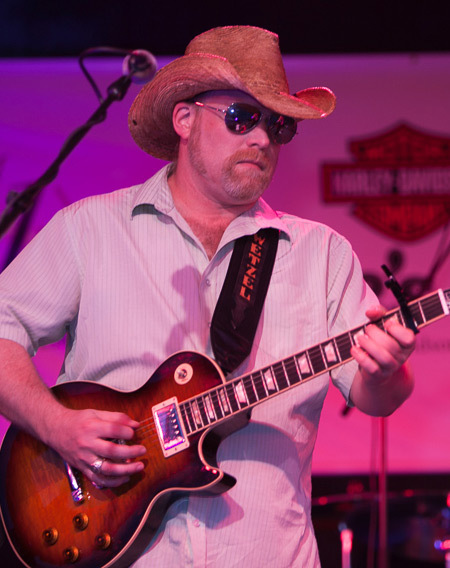 Al Wetzel is a published singer/song-writer, accomplished multi-instrumentalist and live performance veteran. Having toured the country and the world full-time for well over a decade with the legendary country rock act, Hello Dave, Allen is a seasoned performer. He is perfectly at home on any stage from the arena to the backyard BBQ.Hello Dave has been the opening act for major label country acts Keith Urban, Big and Rich,and Kenny Chesney, as well as rock acts REO Speedwagon, the Doobie Brothers, CCR, Huey Lewis and the News, and Train. They’ve also done two National Anthem performances at Wrigley Field. Hello Dave’s fourth studio album release, “Perfect Day,” included the single “Golden,” which currently enjoys airplay on country radio stations from coast to coast. Al has done seven world tours with Hello Dave in support of American troops, including performances in Iraq and the Middle East, Europe and the Mediterranean, Japan, South Korea, and Singapore. Al majored in music at Hesston College and continued his education at the Musician’s Institute in Hollywood, CA. During his time at MI, Al integrated Hesston’s classical approach with a more diverse set of genres such as Rock, Blues, Reggae, Funk, Jazz and Country. 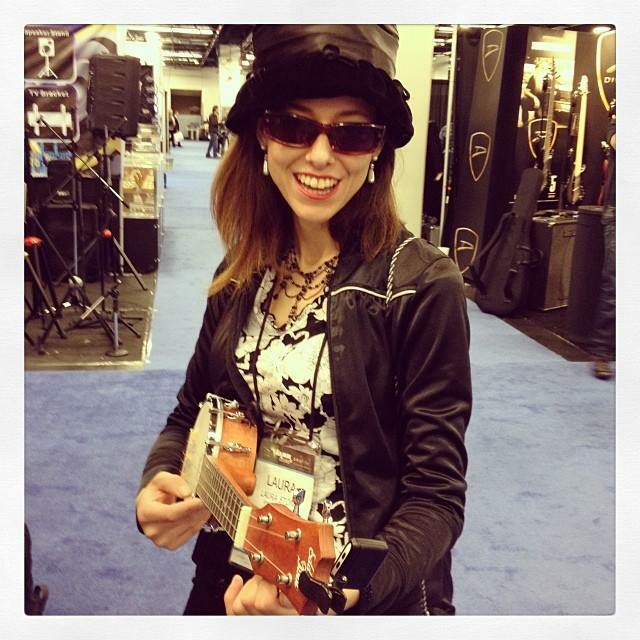 In addition to teaching guitar and bass, Al is a patient instructor who specializes in vocal harmony arrangement, ear-training and the practical use of music theory. Al looks forward to applying his years of experience to help shape the next generation of musical icons. Sam began piano lessons at the age of 6 but didn’t truly engage in it until high school when he joined the jazz band, as well as becoming an instrumentalist for follow students throughout those years. He then pursued two years at Columbia College in Chicago to continue his music education. Sam’s goal is to return to school in the coming years, but currently spends his time recording music and teaching. He has the ability to teach musicians of all ages and skill levels! It’s played with the soul, not just with the hand! Alex Vina started playing bass with a classical background at the early age of 8. Playing upright bass in school orchestra and jazz band, he transferred his knowledge to the electric bass and developed a deep rooted passion for the low end. Already working with several bands while in high school, he grew a reputation as a professional musician in the area. Alex relocated to South Florida in 2004, where he became immersed in the ever present “Jaco Pastorius” scene. He studied with Jaco’s great friend and colleague, Jeff Carswell, who is the bass player of the famous tribute group Jaco Pastorius Big Band. 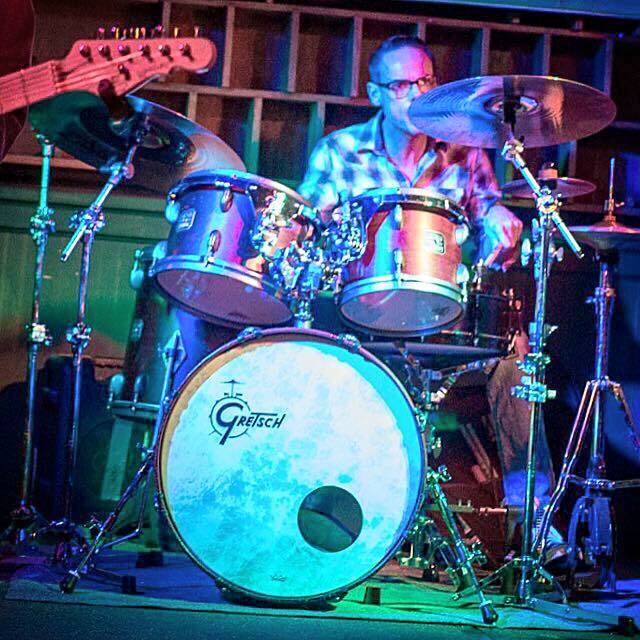 Following his return to the Lake Geneva area, he hit the local music scene and started playing with acts from Milwaukee to Chicago. He acquired a great deal of experience through extensive touring, recording and has performed on national broadcast television and music videos. From good ol’ Rock and Roll to Funk and Jazz, Latin, Blues, Reggae, Bluegrass, and Soul he grew comfortable in just about any style of music. In 2013 his hard work paid off and he helped bring the WAMI Award for Best R&B/Soul to The Charles Walker Band of Milwaukee. Today Alex continues to perform with several working bands and has a great pride in sharing his joy and knowledge with others, while helping develop seasoned musicians. Jeff comes from a family full of professional musicians. His Mother started him on Piano at the age of seven with the hope that he would someday make the switch to Accordion. However he was having none of that, and the switch was made to drums a few years later after hearing Def Leppard’s High N’ Dry for the first time. In 1996 he landed the gig with legendary Milwaukee hard rock band Bender and recorded the 1998 independent release Jehovah’s Hitlist. A couple of years later Bender was signed by TVT Records and Jehovah’s Hitlist was remixed and repackaged. The song Angel Dust was featured in the Kevin Costner Kurt Russell movie 3000 Miles to Graceland. Other tracks on that album where also featured on various video games soundtracks including the first ATV Off Road Fury. In the years since Bender Jeff has kept busy with many different projects. 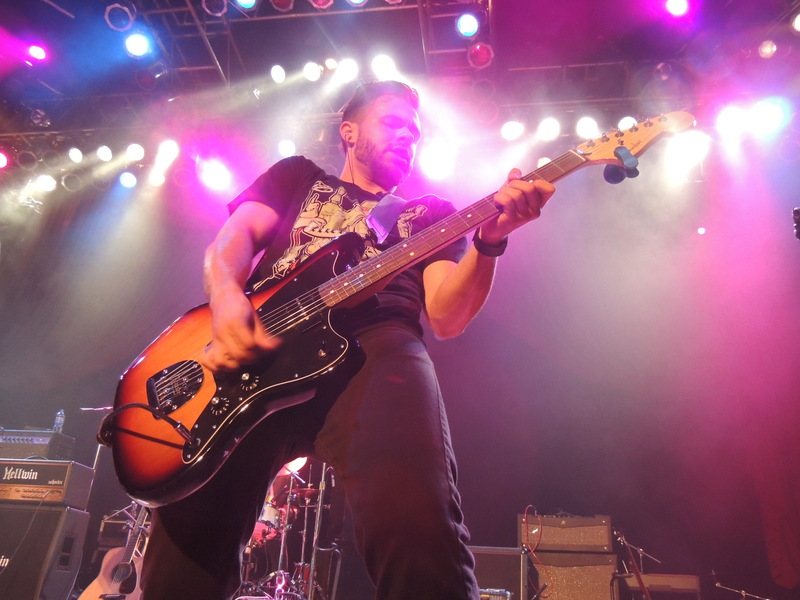 He spent five years touring with the Milwaukee based pop rock trio Mandown. 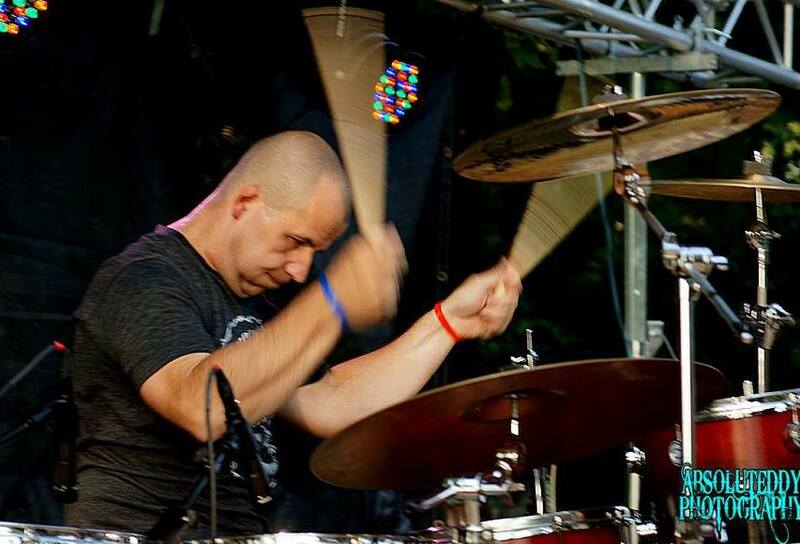 In 2011 he was nominated for a Wisconsin Area Music Industry (WAMI) Drummer of the Year award. When former Bellevue Suite drummer Hannah Ford joined Prince’s band a couple years ago Jeff got the call to fill in for her for a few gigs. Most recently he has been recording and gigging with Redbelt, an alt rock band featuring members of Mandown. And last year he recorded an album with The Chris Wayne Band, A Country Rock act featuring Rock Central Bass Instructor Todd Richardson to be released later this year. 2 a cappella groups, and even starting his own barbershop quartet, Joey brings with him an abundant amount of experience that cannot wait to be shared!